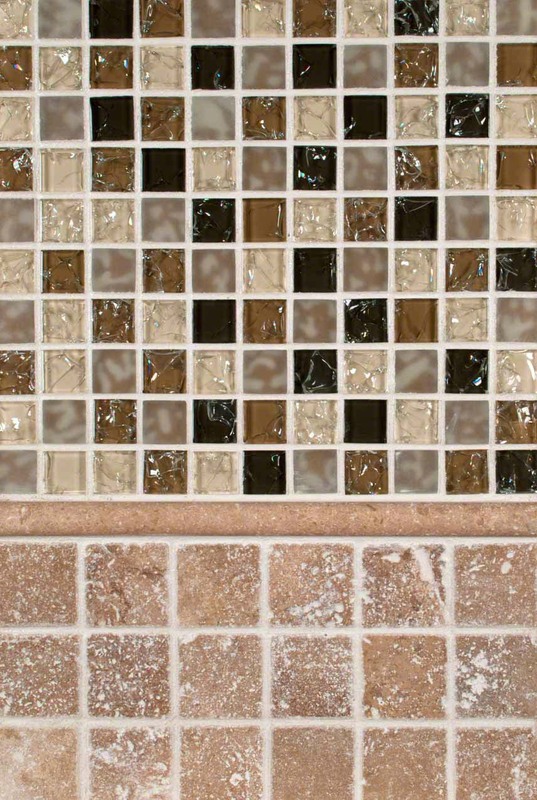 In this stunning backsplash tiles design we’ve combined gorgeous natural Tuscany Walnut Travertine with our Pacific Dunes Glass Mosaics. Seemingly opposing materials, together they highlight the beauty and drama of each. Perfect for contemporary and eclectic designs, creating a backsplash for kitchens and baths will make the walls the show-stopper in the design.